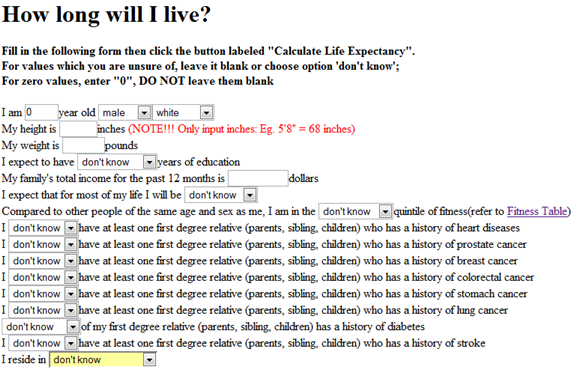 This calculator will determine how long you will live based on your health factors. Before getting started, please note that this is only a calculation based on the common health factors. This is for fun only and in no way should be treated as a serious determination of your real life expectancy. Anyway, enjoy the calculation and hopefully you will learn a thing or two about your health.